At least four Katyusha missiles were fired from Lebanon overnight Monday. No physical injuries. IDF returned fire. At least four Katyusha missiles were fired from Lebanon into northern Israel overnight Monday. Kol Yisrael Radio reported that the missiles exploded in two communities near the border with Lebanon. There were no reports of physical injuries but damage was caused to a chicken coop in one of the communities. The statement said that the IDF’s Northern Command is conducting an ongoing assessment in light of the events. Channel 2 News reported that residents from the communities of Ma’alot and Kfar V'radim reported hearing explosions in the area. According to the report, a preliminary investigation indicated that the explosions came from the Lebanese side of the border. Though the border with Lebanon has generally been quiet in recent years, in January of 2009 three missiles were fired from Lebanon and exploded near Kiryat Shmona. No injuries were reported. 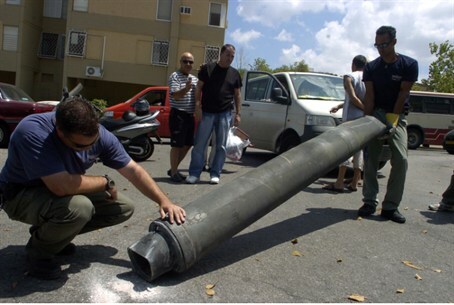 In October of 2009, terrorists in southern Lebanon fired a Katyusha on the Upper Galilee. No one was wounded and no damage was reported. The IDF retaliated with half a dozen rounds of artillery fire. In August, a Lebanese army soldier opened fire on Israeli soldiers manning the northern border. It was the first incident at the border in a year.